The appropriateness to the environment constitutes one of the main stakes of the contemporary architecture. 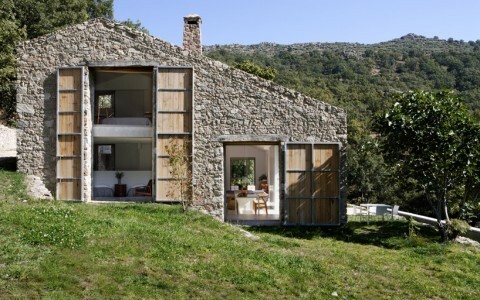 Though, among all the projects we have presented, none reaches the goal as well as the “Casa de Campo” (country house) renovated according to plans of the spanish studio Abaton. Located in Cáceres (Exremadura), the dwelling originally was an abounded stable. Preserving its structure and strengthening it, from inside, with concrete, the architects simply took profit of the perfect positioning of the building which benefits all year, thanks it faces south, from the heat and the light of the sun. From this develops all the project. ...continue reading "Country House in Cáceres, Extremadura"
In the town of Casar de Cáceres, located 10 kilometres from the capital of Cáceres (Extremadura), the architect Justo García Rubio planned his most audacious work: a terminal for long-distance buses featuring complex engineering and a superbly slender design. 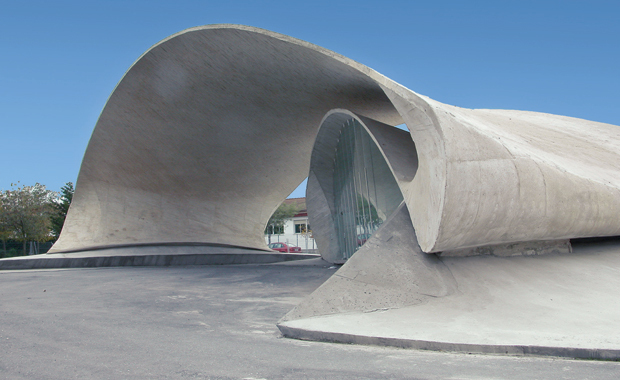 The most characteristic element is the curved white concrete ribbon which folds in on itself and serves as a roof and as a depot for travellers and vehicles. A laminar structure resembling a sculpture, whose shape is not only designed to be aesthetically pleasing, but also functional: it expels the contamination from the buses' exhaust pipes and diverts it away from the schools flanking the station. The result is strongly reminiscent of the soft architecture pioneered by other architects such as Oscar Niemeyer and Félix Candela. ...continue reading "El Casar Bus Station, Caceres, Extremadura"